Bangor offers lots of easy-to-find parking – any time, all day – and always just a few minutes walk from your destination. No need to worry if your meeting runs late or if you want to grab a burger after strolling the stores. And, it’s so affordable – pay by the hour, by the day, or by the month. We’ve made parking convenient and carefree, so come enjoy downtown Bangor. Get down to business or relax and have a great time! 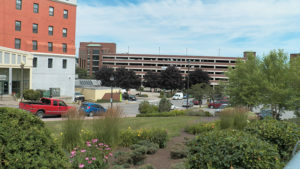 Hourly and daily parking is available throughout Downtown Bangor. Monthly parking is available at the Bangor parking garage and at permit lots around downtown Bangor. 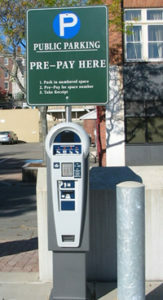 Four pre-pay machines are located throughout the Downtown. There is one in the lot on the corner of Hammond and Columbia and another in the lot on the corner of Columbia and Middle. There is a machine located in the lot on the corner of Hancock and Exchange and another machine at the Atler Lot located on the corner of Harlow and Cumberland. What is Happening in Bangor? Parking in the City of Bangor is professionally managed by Republic Parking. © 2018 Republic Parking System. All rights reserved.